Let p be a prime number and \(\) a natural number. If E is a r-connected finite CW-complex of dimension at most pr, then E is an example of a p-Anick space. For p > 2 we construct a commutative cochain algebra over \(\) that is an \(\)-model of the free loop space on a p-Anick space, i.e., its cohomology algebra is isomorphic to the mod p cohomology of the free loop space. 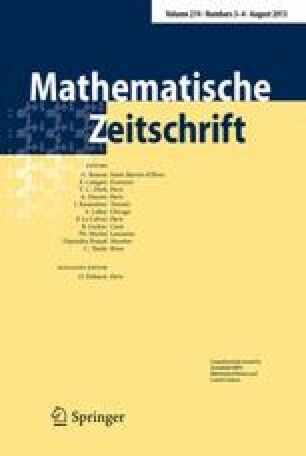 For p-Anick spaces that are p-formal, such as spheres and projective spaces, we define an even simpler commutative free loop space model that applies for all primes p. We then use the simplified model to compute the cohomology algebras of a number of free loop spaces explicitly.